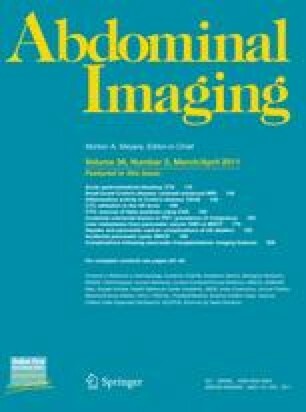 To estimate the prevalence of incidental pancreatic cysts (IPCs) in asymptomatic patients addressed to magnetic resonance cholangiopancreatography (MRCP), and to correlate it with clinical and imaging features. Magnetic resonance cholangiopancreatography performed over 26-months on 152 patients with unsuspected/unknown pancreatic disease were reviewed to assess IPCs’ features of presentation. Multivariate analysis was performed to evaluate the correlation of IPCs with clinical information and type of pancreaticobiliary findings at MRCP. Prevalence of IPCs was 44.7%. Cysts sized 3–24 mm (mean, 6.08 mm), and were ≤4 in number in 83.8% of patients. Based on number, dimensions and relation with the main pancreatic duct, IPCs presented with intraductal-papillary-mucinous neoplasm (IPMN)-like or indeterminate patterns in 31.7% and 13.1% of patients, respectively. At follow-up on 24 patients, no evolution was found, except in one patient with proven IPMN showing increase in cysts number and dimensions (evolution rate of 4.1%). Features correlating with IPCs were age ≥60 years old, and history of autoimmune hepatobiliary disease, showing odds ratios of 5.95 (95% CI 2.77–12.79) and 0.13 (95% CI 0.04–0.44), respectively. Incidental pancreatic cysts represent a frequent finding at MRCP, correlating positively with increasing age, and negatively with biliary autoimmune disease. Cysts more frequently present with IPMN-like pattern.